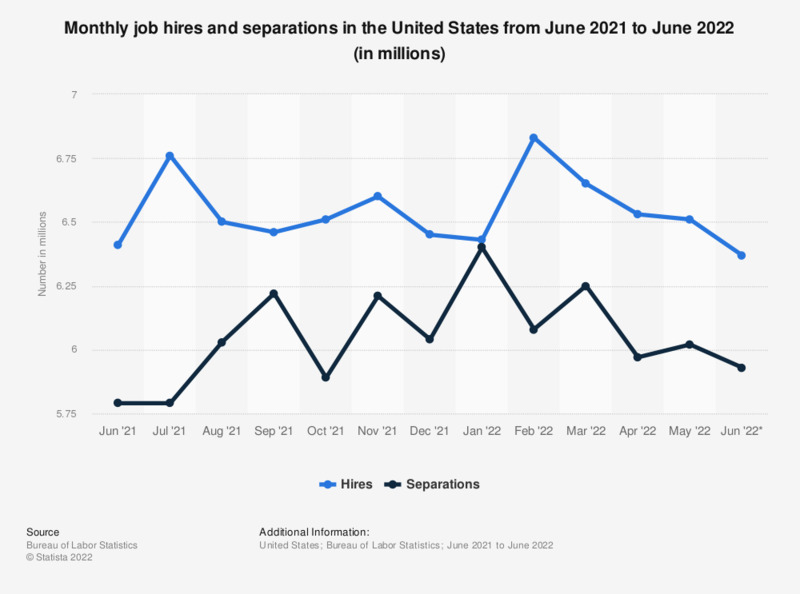 This statistic shows the monthly number of job hires and separations in the United States. The data are seasonally adjusted. In February 2019, the hires were approximately 5.7 million for total nonfarm. The separations figure includes voluntary quits, involuntary layoffs and discharges, and other separations, including retirements. Total separations is also referred to as turnover. The seasonally adjusted number of total separations was 5.56 million in February 2019.